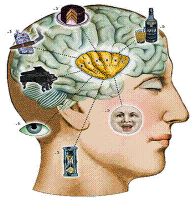 Cognitive Science is the interdisciplinary study of cognition in humans, animals, and machines. It encompasses the traditional disciplines of psychology, computer science, neuroscience, linguistics and philosophy. The goal of cognitive science is to understand the principles of intelligence with the hope that this will lead to better comprehension of the mind and of learning and to develop intelligent devices. The Interfaculty Program in Cognitive Science is a faculty of Arts & Science (B.A.Sc.) degree program. Any student admitted to the faculty of Arts & Science may enter the Interfaculty Cognitive Science program. After spending a year in the program, students may also enter the Honours in Cognitive Science program. Both programs must be completed with a minor program, chosen from the list of minors for B.A.Sc. students. Students in the faculty of Arts or the faculty of Science may choose to complete a minor in Cognitive Science. See the SOUSA website for Ryan Bouma's schedule. Students in Year 1 who are entering their first year in Cognitive Science should refer to the advising page for course selection advice. Students in Year 0 who are completing the B.A.&Sc. Freshman program but are interested in entering Cognitive Science in the future should refer here for advice.